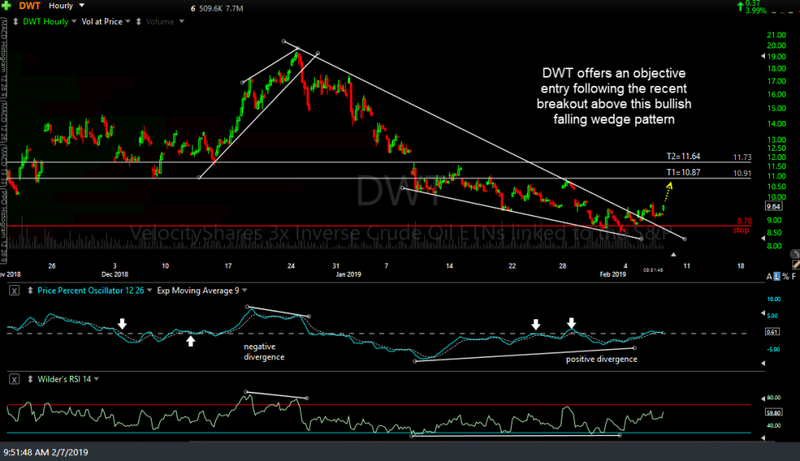 DWT (3x Inverse/Bearish Crude Oil ETN) offers an objective entry following the recent breakout above this bullish falling wedge pattern & will be added as an Active Short Trade* around current levels. The price targets for this trade are T1 at 10.87 & T2 at 11.64. The suggested stop is any print of 8.78 and the suggested beta-adjusted position size is 0.35 (about 1/3rd a typical position size to account for the 300% leverage factor). *While DWT will be categorized as an Active Short Trade since it is a bearish bet on falling crude prices, one would BUY (i.e.- go long) DWT to short crude oil, not short it. 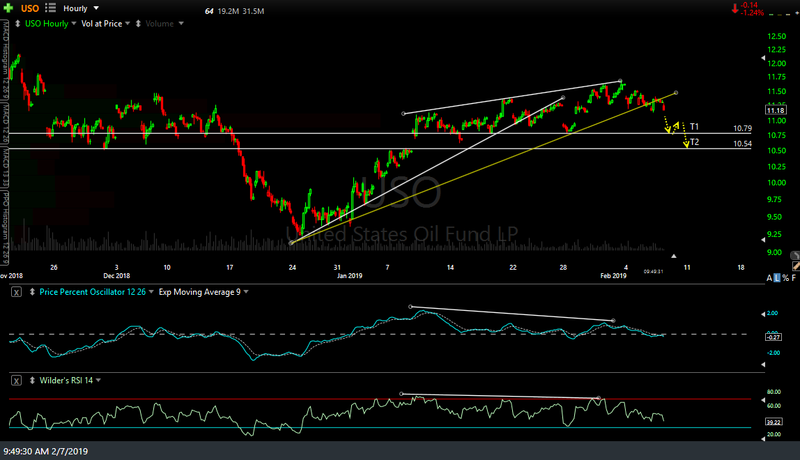 A 60-minute chart of USO is shown below with some potential targets (unadjusted targets as those are the actual support levels). Also note that additional price targets may be added to the DWT trade, depending on how the charts develop going forward. OIL looks like its on a falling wedge on the hourly..would that change anything? or am i just seeing things?